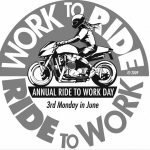 Join in on the 27th annual worldwide Ride to Work Day and represent motorcycling – no matter what you ride! This running of the traditional Ride To Work Day is expected to be one of the largest-ever, according to the non-profit organization that coördinates this annual event. On Ride to Work Day a higher number of America’s 8,000,000 cycles and scooters are ridden to work. Some estimates put the numbers of added riders at over 1,000,000. 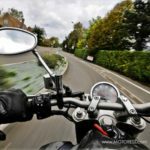 Across equal distances, commuting riders can reach their destinations more quickly—in up to 20% less time than those using automobiles in some situations—and motorcycles and scooters consume less resources per person per mile, and they take up less space on roads and in parking areas. “Many people do not always appreciate the societally positive value of transportational riding, and some don’t know there are also a few hidden deleterious ramifications from having almost everyone default to private autos. Cars are wonderful machines, and we love them, but the reasons to ride, when one can, go beyond stuff like energy or carbon footprints” states Andy Goldfine, an event organizer. This Day is about more than traffic congestion, motorcycles and economics. Winston Churchill famously said: “We shape our buildings; thereafter they shape us.” Other thought-leaders have presented or expressed the same idea in different ways. It applies to things beyond our homes and buildings. It’s about all technologies, including our mobility tools. That’s why riding and the annual Ride To Work Day event is important. 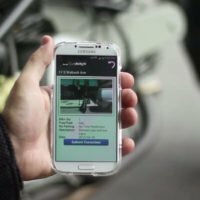 This Day is not narrowly about encouraging the wider adoption of transportational riding…it’s about increasing the understanding of—and tolerance for—those who choose this form of mobility, and about providing support and encouragement to those who like to ride in transportation-centric ways. Visit the Ride to Work website includes forum areas, merchandise, information, and free promotional support materials.